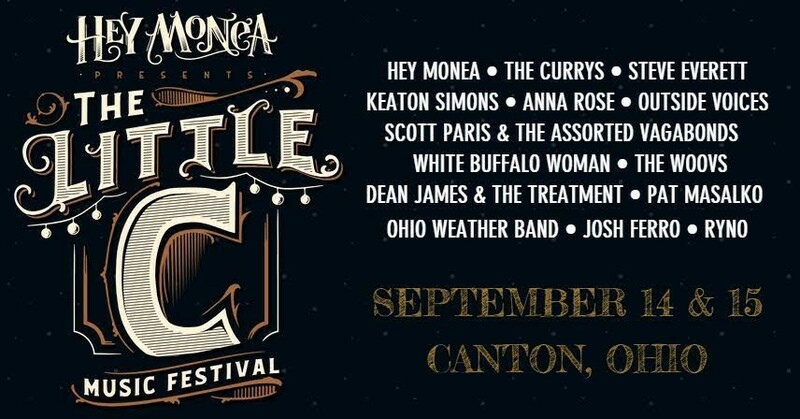 Earlier today, the Canton-based indie rock band Hey Monea, winner of the 2012 Hard Rock Battle of the Bands, announced it will again host the annual Little C Music Festival in Canton on Sept. 14 and 15 at the Auricle. Now in its third year, the festival will feature both national and local acts, including Keaton Simons, Anna Rose and the Currys, Pat Masalko, Ohio Weather Band and Scott Paris & the Assorted Vagabonds. For this year’s event, organizers have partnered with the Downtown Canton Flea, ComicCon and Canton’s Restaurant Week. Festival passes are $20, and individual Friday and Saturday passes are $10. VIP passes cost $60.